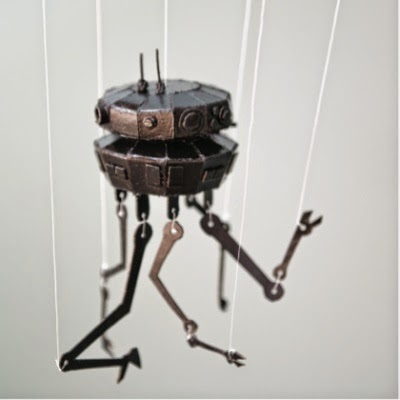 For Star Wars Day 2014 (May the 4th), Starwars.com released a template for a papercraft Imperial Probe Droid marionette. The template and detailed instructions for the droid are available here. Probe droids first appeared in Star Wars: The Empire Strikes Back in 1980. In the 2009 science fiction movie Moon, six wheeled rovers are used to do work on the surface of the Moon. 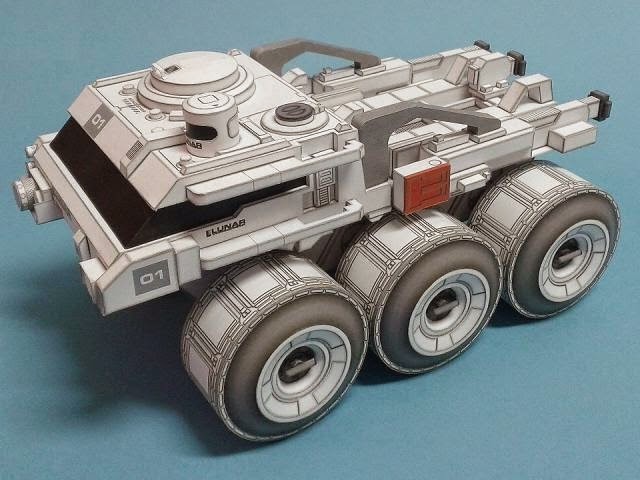 This detailed paper model of one of the rovers was created by Martin Singer at Paper Aviation. Recommended for advanced modelers only, the PNG image file template for this papercraft may be downloaded here. The instructions for the model are some of the most professional looking I have seen! The My Little Pony Friendship is Magic animated series features many types of mythical creatures as characters. One episode featured a griffon name Gilda. 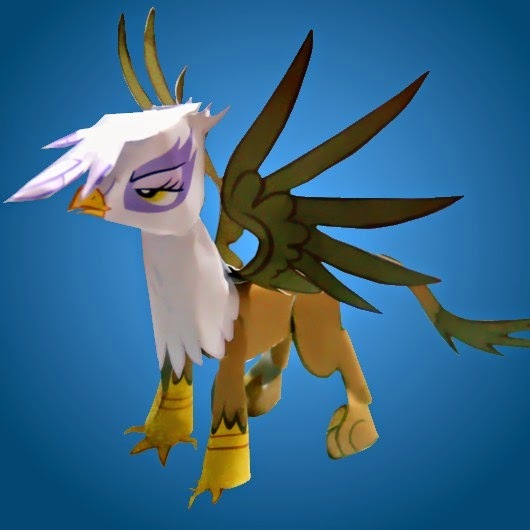 This papercraft Gilda was designed by Kna at DeviantART. The JPG template for the model may be downloaded here. In 1943, Life Magazine featured an article on a new type of world map envisioned by inventor Buckminster Fuller. Fuller's map was called the "Dymaxion World". 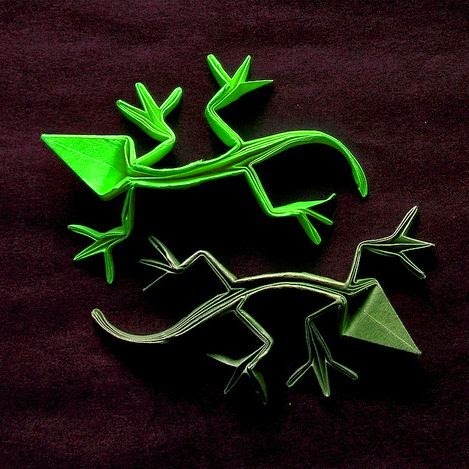 Once folded, the map forms a cubeoctahedron. Fuller's goal in creating the Dymaxion World was to create a map that, when flat, shows all the land masses as contiguous. 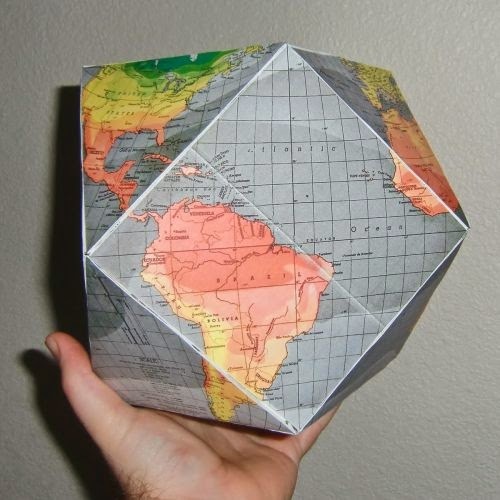 A printable template for the globe may be found here. The finished papercraft is roughly 10" (25cm) in diameter. 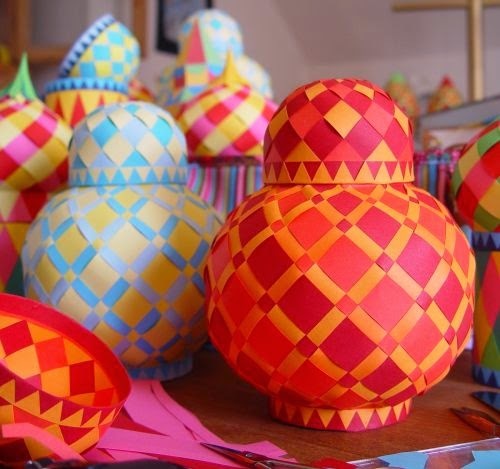 Lene at PaperMatrix continues to delight and amaze with her colorful paper creations based on traditional Danish woven paper hearts. These paper jars with removable lids may be used as decorations or as gift boxes. The printable templates for the jars are available here.